Funko is excited to announce a new line of highly articulated action figures celebrating some of pop culture's biggest franchises. The hit HBO series "Game of Thrones" will be the first license released in the Legacy Collection, which is currently available exclusively in Barnes & Noble stores nationwide in time for the "Game of Thrones": The Complete Third Season DVD release on February 18. It will follow at additional retail partners on March 4. The first wave of the "Game of Thrones" Legacy Collection introduces some of the series' most popular characters. Each action figure will feature 20+ points of articulation and its own removable accessories. 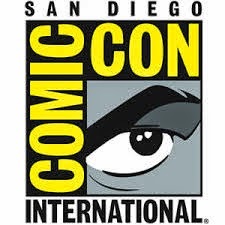 LYNNWOOD, WA - February 11, 2014- Funko is excited to announce a new line of highly articulated action figures celebrating some of pop culture's biggest franchises. The hit HBO® series Game of Thrones® will be the first license released in the Legacy Collection, which is currently available exclusively in Barnes & Noble stores nationwide in time for the Game of Thrones: The Complete Third Season DVD release on February 18. It will follow at additional retail partners on March 4. Jon Snow-The Jon Snow Legacy Action Figure is a 6" tall highly articulated action figure. The figure features Jon Snow's sword, Longclaw, as an accessory. Ages 17+. Daenerys Targaryen- The Daenerys Targaryen Legacy Action Figure is a 6" tall highly articulated action figure. The figure features Daenerys's dragon, Drogon, as an accessory. Ages 17+. The Hound- The Hound is a 6.5" tall highly articulated action figure which features two swords and a helmet as accessories. Ages 17+. Tyrion Lannister- The Tyrion Lannister Legacy Action Figure is a 6" tall highly articulated action figure that includes an axe and a necklace as accessories. Ages 17+. White Walker- The White Walker Legacy Action Figure is a 6.5"tall highly articulated action figure. The figure features a spear as an accessory. Ages 17+. 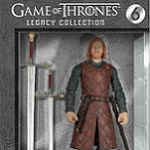 Ned Stark-The Ned Stark Legacy Action Figure is a 6"tall highly articulated action figure that comes with a sword as an accessory. Ages 17+.